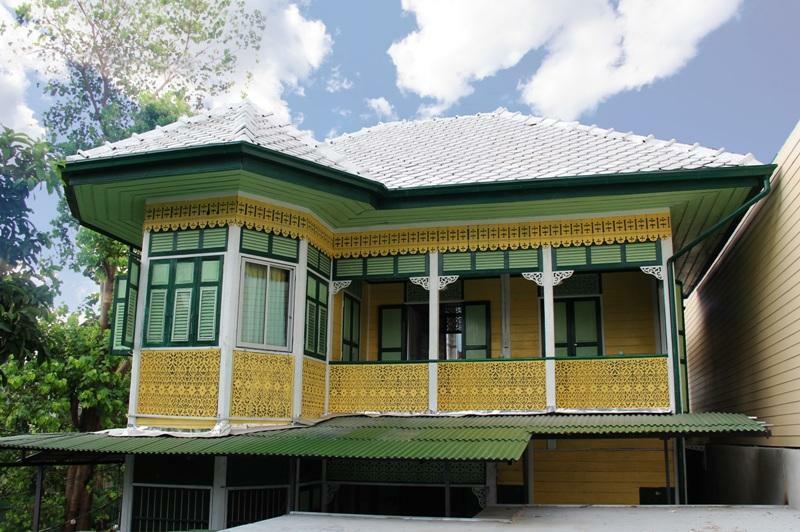 In 'Trok Mayom' there is on beautiful house hidden away since 130 years ago from generation to generation, after our realize the value then we decided to renovated this house for all of you to touch the beauty of Thai Home under name 'Laksameenarai Guesthouse' management by 'Sivarin Guesthouse. The property is located on Trok Mayom, just 1 minute walk to khaosan road, 5 minutes to Grand Palace and Wat Pho, not too far from the pier and also easy to take public bus to shopping area MBK Siam Square, close to restaurant, massage shop, convenient store and pharmacy. The guesthouse is ginger bread house and hipped roof, decorated with carved wooden patterns influenced from Victorian-style home in England. We have 5 comfortable rooms, shared rest room according the old traditional style of Thai house. In private rooms, we provide 32' LED TV with android box so you can use all of applications and enjoy whatever you want to search Internet, chat, write an e-mail etc. feel like you have a private computer and we give you complimentary unlimited Wi-Fi. Form Suvarnabhumi and Donmeung Airport we recommend you take public taxi to Khaosan road, it costs between 400-500 baht depending on traffic. After you arrive at Khaosan road behold Boots shop then 7-11 shop, turn left keep walking 100 meter you will see our lovely authentic Thai house, color is yellow and green.